For over twenty years, John Luke Plumbing & Heating has been providing quality plumbing services to homes all over the Havertown area and throughout the Main Line. 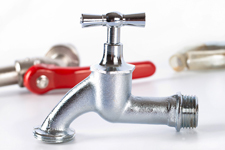 From installing new fixtures to fixing a leaky pipe, we can handle all of your plumbing needs. We’re committed to providing the highest quality service day in and day out, and all of our work is warrantied for one year. So no matter what type of plumbing service you’re looking for, be sure to give us a call today. If you need any type of plumbing fixture in your kitchen or bathroom repaired or replaced, our technicians are here to help. We’ll evaluate the situation and make a recommendation about the best course of action for you. With your approval, we’ll then carry out the necessary work to get things back on track and flowing smoothly. We also provide installation, repair, and maintenance of toilets. Even if your current toilet is working just fine, it may be time to upgrade to a higher efficiency, low flow model. Depending on the age of your current toilet, these newer products can use less than half of the water in each flush, and that will seriously cut down on your monthly water bill. Since it can be hard to know whether it makes more sense to repair your current toilet or replace it with a new one, our professional plumbers will guide you through the process. All of our recommendations are based on what we would do in our own homes, so you can be sure we always have your best interests in mind. Other Havertown plumbing services we offer include installation and repair of all types of faucets and sinks. Whether your sink is clogged or you just want to change the look of your master bathroom, we have the products and expertise you’re looking for. We’ll help you find just the right sink and faucet to complete your room, and we’ll make sure it stays in good working order for many years to come. One of the most popular plumbing services we offer is garbage disposal installation. Once you have a garbage disposal in your home, it can be very hard to live without one. So whether you’re concerned about the way your current system is working or you’re ready for a new one, give us a call today. Our experts will make sure you have a good, properly functioning unit in place in no time. There really is no plumbing service in Havertown, Narberth, or the surrounding area that we can’t handle. So be sure to call John Luke Plumbing & Heating today to talk to one of our experts. We’re always happy to answer your questions or schedule an appointment for service. It's nice to know that there are people out there that aren't just about the dollar, but about the customer.